Facility located at 3777 Aaron Ave SW, Grandville, MI 49418. All equipment can be found here. Fields #13 and #14 are at the Grandville Middle School a block away, 3535 Wilson Ave SW with parking available on Aaron Ave and Choctaw Dr.
** You must contact SABRA if canceling for an assignment that day. It is best practice to contact both. The UIC and Secretary shall assign all games for GvLL 2019. Please fill out the forms below to let us know when you are available. If your availability has changed, you may text the UIC / Secretary or fill out the same form again. Games are typically assigned during the previous week. Please be timely about submitting your availability forms. Intermediate (50/70) and Juniors baseball can use BBCOR or USABat Standard bats. 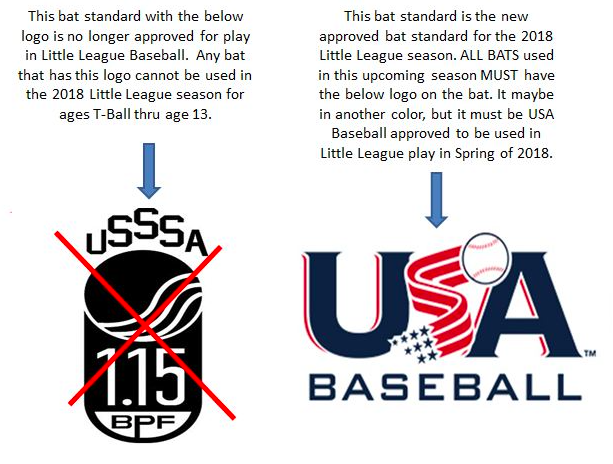 Softball bats DO NOT need to have the USA logo.